Kenya Remains In Better Shape Than Most of Sub-Saharan Africa, But Is It A Good Bet? 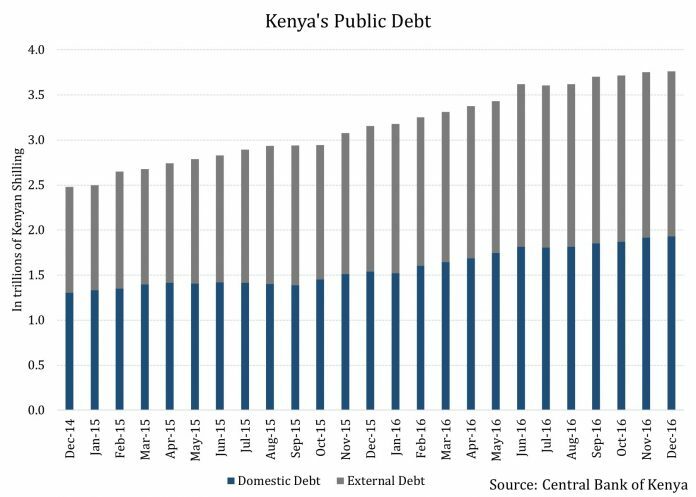 Public debt in Kenya has soared as shown in the graph below. Data from the Central Bank of Kenya showed that the country’s public debt soared by 608 billion shillings in 12 months through December 2016 to 3.763 trillion shillings (~36.4 billion). Information made available by the central bank’s Economic Review for the second quarter of fiscal year 2016-17 also showed that Kenya’s debt-to-GDP (gross domestic product) ratio stood at 54.6% in the period, compared to 45.8% a year ago. In Kenya, a fiscal year begins in July and ends in June of the succeeding year. Of the aforementioned debt amount, 1.9 trillion shillings, or 51% is in domestic debt while 1.8 trillion shillings is in external debt. While domestic debt has increased 25.4% from a year ago, external debt has risen by 13.5% in the period. Compared to the previous government, debt in the present administration’s regime, which came to power in June 2013, has rocketed by close to 99% until December 2016. This marked rise in public debt in the past four years is due to the government’s plan to boost infrastructure in the country which includes new roads and a new coast-to-capital railway. Should the market be concerned? 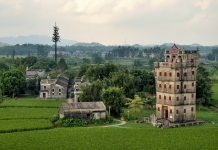 He believes that since the debt is being raised to create infrastructure for improved transportation, and increase electricity and energy production, investors have no need to be worried. This investment will show itself in the form of improved economic growth. Meanwhile, Treasury Cabinet Secretary Henry Rotich was of the opinion that the country’s debt levels would become troublesome if and when they exceed 74% of GDP. 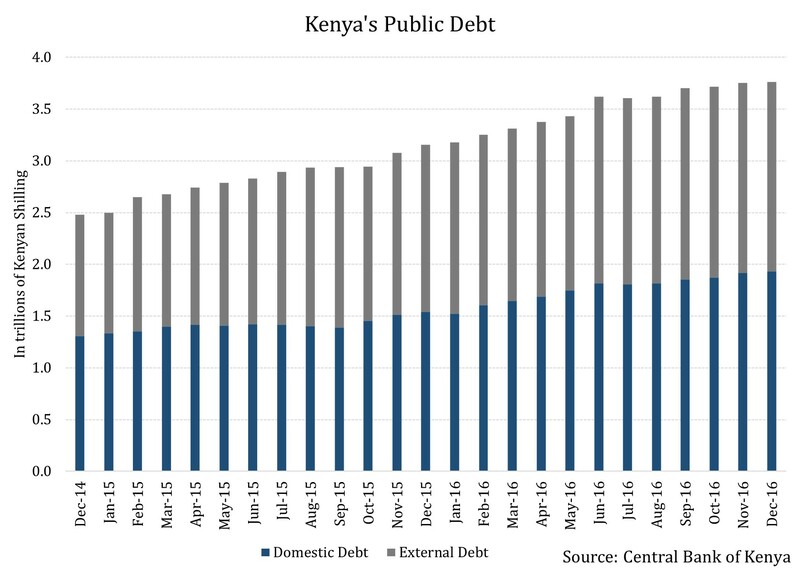 Though these concerns seem reassuring, investors should keep a check on Kenya’s public finances and their impact on economic growth in order to assess the risk. In 2016, the World Bank had noted that the country’s public debt had exceeded the growth in revenue collection, something that could put pressure on the Kenya’s repayment ability. In the next article, let’s look at the country’s bond issuance plans going forward. 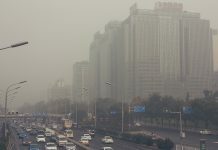 Next articleKenya’s Next Debut: Will Investors Shell Out Their ‘Green’ Or Are They Seeing ‘Red’?